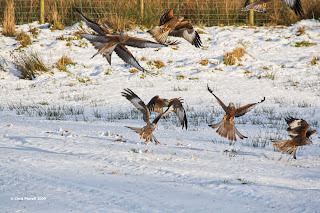 Red Kites in the Snow, as promised. Click any for a larger picture. Enjoy! It was late this afternoon as the tractor refused to leave the building for about 10 minutes due to the icy conditions. Getting closer to feeding time. 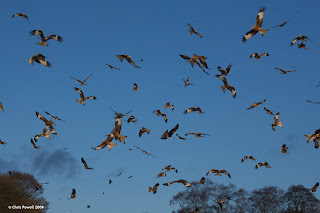 The kites were aloft well before the tractor appeared with food, due in no small part to the above situation. 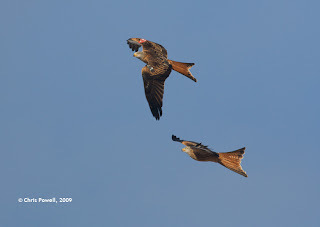 If you look closely to the larger image you should see a kite, in the middle of the picture, gathering itself to catch a piece of meat lost by a kite above. Sunshine and snow makes for a heady mix of colour. I took video today too so will post a copy to the site as soon as I'm able. Always good to see an individual get away without being molested by its brethren. The chase is on as the foremost kite try's to evade that pirate minded brethren. 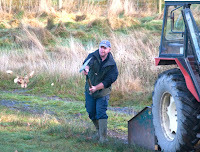 Colin Horlock has been here most weekends for over 12 months and has gradually increased his duties here on the farm. Feeding the kites now forms part of his weekend and that gives me the chance to catch up with other work, and on Saturdays, even take the occasional afternoon off! This will also enable me to take my cameras down to the hides to take photographs, and film, myself for a change. 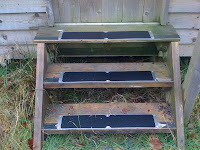 We have been searching for a solution to the wooden hide steps becoming slippery on wet weather, and as time has gone on the problem has been getting worse. Having started one morning I completed the last steps by the afternoon and we can now reasonably relax as no one should have a problem with wet weather now. 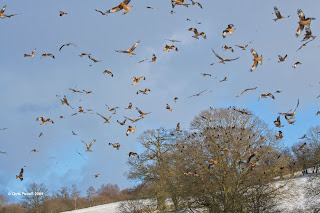 Snow has arrived and the kites look stunning with the reflection of light hitting their wings. I'm going to leave the video camera at home tomorrow and instead take the stills camera to try to show the difference this can make. We cleared our road of snow this morning so all can get up to the farm. The delivery of a fresh meat chopping machine is due tomorrow afternoon as the current machine ground to a halt after just one cart of meat had gone through last weekend. 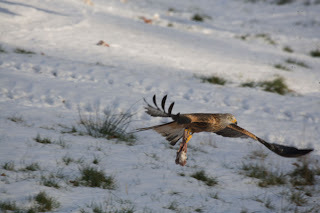 It is very expensive, but as we have upto 500 red kites to feed, the quantity of meat required each day is beyond the manual cutting that which we used to do when the kite feeding first began 16 years ago with half a dozen kites visiting. 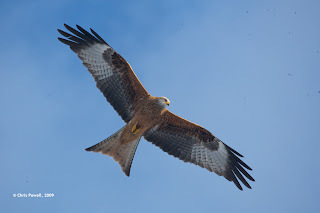 Tony Cross turned up here well after dark yesterday evening with a red kite needing rehabilitation. I have yet to see it as apart from the blackness in the aviary last night I've not had time to look in on the bird. 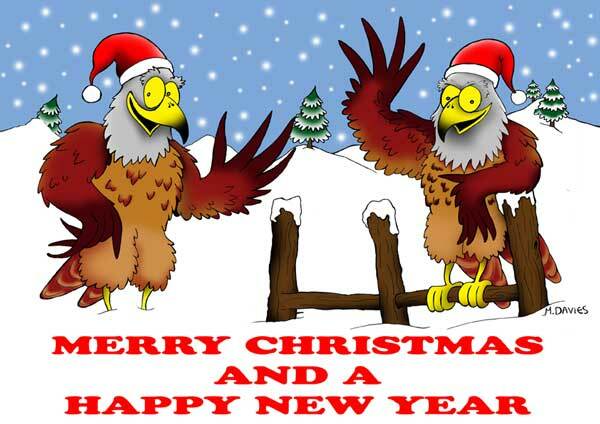 Tony called in so it has not been neglected and it has the buzzard for company. I'll be posting snowy photographs tomorrow if all goes to plan, but as this is Christmas week.. We would like to take this opportunity to wish you a very..